Joseph Kauffman (B.M. '08) recently returned from a 40-day tour with the Chamber Orchestra of Philadelphia and a 15-day tour to Russia with the Philadelphia Virtuosi. He is currently a violin faculty member at the Nelly Berman School of Music in Haverford, Pennsylvania. Joe was born in Oakland, California and began studying the violin at the age of five. He studied with Yayoi Numazawa of the Philadelphia Orchestra. During the summers, Joseph participated in international music festivals such as Interlochen, Luzerne, Music in the Mountains, Kinhaven, and Recontres Musicales International des Graves where he worked with many of the worlds finest musicians and teachers. While a student at Penn State, he was a a student of James Lyon and Max Zorin. He was a Creative Achievement Award winner and also the Marjorie Brewster scholarship. He returns to Penn State every summer for the Music at Penn’s Woods Festival under the direction of Maestro Gerardo Edelstein. Joseph founded the “Valens Piano Quartet," which earned second place at the Music Teacher's National Association chamber music competition. Kauffman was accepted into the studio of Professor Eduard Schmieder in 2008 where he began his studies in the master’s degree program at Temple University, and he served as concertmaster for many of the Temple orchestra concerts. 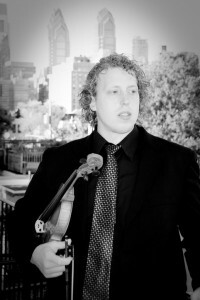 He has appeared as soloist with the Wayne Pennsylvania Chamber Orchestra and also performed in Los Angeles as part of iPalpiti Artists International, an organization devoted to the artistic career advancement of exceptionally gifted young professional musicians and to the promotion of peace and understanding through music. During the summers, he coaches chamber music at the Music in the Mountains festival in Durango, Colorado.